Join us for a family adventure to remember! Stand up paddleboarding is fun, safe and great for your kids’ confidence in water. 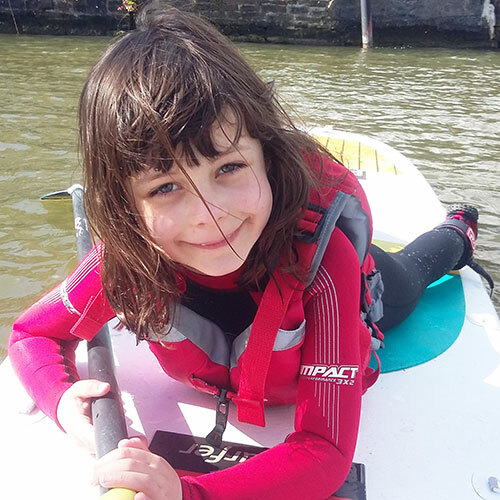 We’ll learn the basics, play some games and explore Bristol by stand up paddleboard. Join with other families, or book a private family session from just £85. Join with other families and take to the water for an inspiring intro to the water! Suitable for ages 8+ with a maximum group size of 8. 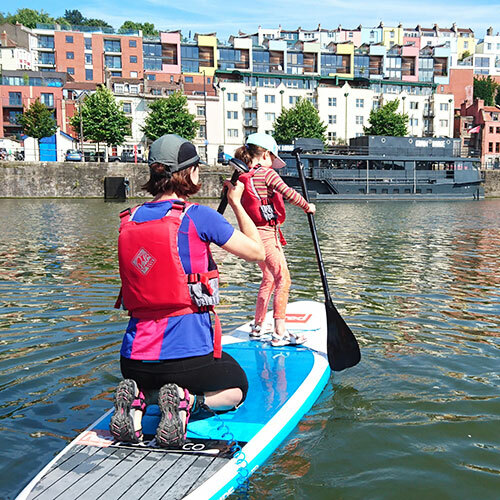 Organise your own family SUP session as part of the perfect Bristol day out! Fun, confidence building adventures at times to suit you. Dates and times: Scheduled sessions run weekly or private sessions at a time to suit you. Online booking: Book early to guarantee your session, especially in the busy summer holiday.